Here's just a few of the places in London I love to guide people around and tell great stories about. And in some cases these are places in which only qualified Blue Badge Guides are allowed to guide, so having me as your guide will add value to your visit and make it even more fun. 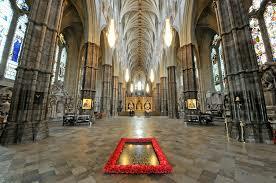 The church where Kings and Queens are crowned, royal weddings are celebrated and many of the greatest Britons in history are buried or commemorated, as well as the Tomb of the Unknown Warrior, Poet's Corner and the amazingly ornate Henry VII Chapel. 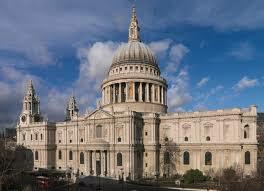 Stunning architecture, a rich and varied history and many wonderful stories. Founded by William the Conqueror, this UNESCO World Heritage Site has been a Royal Palace, a Prison and execution site where no fewer than 3 queens lost their heads, the Royal Observatory, the Royal Mint, a Zoo and of course it's the home of the Crown Jewels. See the real jewels, crowns and other priceless treasures that form an essential part of the Coronation and annual State Opening of Parliament, including the largest brilliant cut diamond in the World and the fabulous Imperial State Crown, which Her Majesty Queen Elizabeth II calls "my best hat". 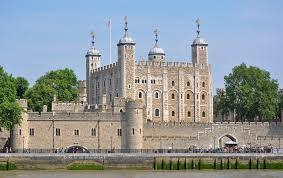 I'll also point out its most famous residents: the Ravens and the Yeoman Warders (a.k.a. "Beefeaters") and tell you all about their life in the Tower. 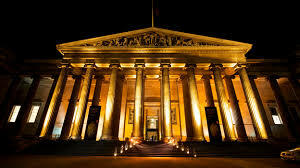 With its ENORMOUS collection of historical treasures from all over the World dating back as far as 5,500 years ago, the British Museum can seem a bit overwhelming. But I can show you the highlights and tell you some thrilling tales about them, for as long or as briefly as you want, and whatever age you are. We can see such world-famous artefacts as the Rosetta Stone, the Parthenon Marbles, Mummies from Ancient Egypt, ornate jewellery from the Bronze Age, and even the chess set that Harry Potter plays with! All within 3 minutes' walk of each other, three fantastic and varied museums that will engage you whatever your age or interests. I love to show the highlights of each, for as long or as short as you wish. And each have great shops and cafés too. 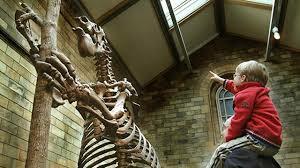 The Natural History Museum is full of wonders of the Natural World, from dinosaurs to butterflies, precious stones and lots of interactive displays. The V&A is possibly the finest and most extensive collection of worldwide craft and design including weaving, sculpture, fashion and furniture. The Science Museum is a world of technological marvels including the very first computers, a fabulous journey though the history of transportation including Sir Tim Peake's space capsule, and the Wonderlab which is brilliant fun for younger visitors. Re-built from the rubble of the Great Fire of London, survivor of the Blitz in World War II, St. Paul's is a stunning testament to the vision of one of our greatest ever architects Sir Christopher Wren. It's where Prince Charles and Lady Diana Spencer got married, where the Queen celebrated her 90th birthday and where some of our greatest heroes are buried, including the Duke of Wellington and Admiral Lord Horatio Nelson. We can be awed by the magnificent dome, visit the famous Whispering Gallery, see the American Memorial Chapel, explore the crypt and visit its fine cafe too. London has some of the greatest collections of Art in the World, from Medieval times to the latest Contemporary sensation. It's a real feast for Art Lovers, but where do you start? I can show you highlights and tell stories in The National Gallery, The National Portrait Gallery, Tate Britain and Tate Modern - which are all free to enter. I can also guide you round some of the private dealers' galleries exhibiting individual and group shows in the West End, Soho, Mayfair and Chelsea - whatever your taste in Art, from Medieval to Renaissance to the Impressionists. From the Old Masters to today's Superstars, London has something for you.